The VIBRATION DAMPER was invented to prevent undesirable string noises between nut and machine heads. These unwanted string noises will change and degrade the pure tonal quality of your instrument. Install this VIBRATION DAMPER between the nut and the tuners on your instrument and you’ll enjoy the pure string sound. 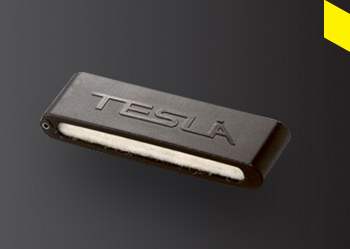 TESLA recommends the VIBRATION DAMPER to all musicians that use fretted instruments!